When 27-year-old Sheetal Agarwal, working for a leading private sector bank, decided to move from Mumbai to Bengaluru, she was worried. Sheetal got married only a few months ago and was moving to a new city where her husband was based. They were college sweethearts and had stayed in paying guest accommodations during their courtship. So, setting up a new home, although exciting, seemed a daunting and expensive task. Moreover, her husband Akash works in the IT industry, which is facing some challenges, and stumping up for expensive items seemed tricky. While searching online for cheaper options, the couple stumbled upon RentoMojo and its unique offerings. Today, most of the furniture and household appliances that they use have been rented from that company. Even the vehicles, the Honda Activa scooter that Sheetal rides and the Bajaj Pulsar bike that Akash uses, have been sourced from there. "As there is no big upfront payment, it is the best thing that could have happened. When we move, we do not have to worry about moving all this stuff or selling them at fire sale prices," says Sheetal. A back-of-the-envelope calculation shows that the couple pays about Rs8,000 a month for the entire package while buying those would have cost them Rs3 lakh-plus. That is the beauty of the rent economy, made easily accessible by online service providers like RentoMojo. Renting home essentials might be a new concept, but the demand is growing as young people like the Agarwals want to use quality products, pay less and love the hassle-free experience. According to Geetansh Bamania, one of the four co-founders of RentoMojo, it was a eureka moment when he realised the full potential of the business. At the time, he used to work for Mumbai-based Pepperfry, the country's largest omnichannel furniture retailer. Bamania had rented a piece of furniture from a local supplier, paying Rs400 a month. Had he bought it from a shop, it would have cost him Rs10,000 or so. "Being in the same business, I knew its wholesale price was Rs4,000. But then, furniture is a high-margin business," he says. He had also noticed how Gen Y loves to enjoy the comforts of life although the ability to pay was limited. Plus, in a country where the average age is below 30, people often move cities and do not like to lug their possessions along, which is a huge opportunity. Bamania's IIT-Madras batchmate Ajay Nain also liked the concept and decided to join the venture. 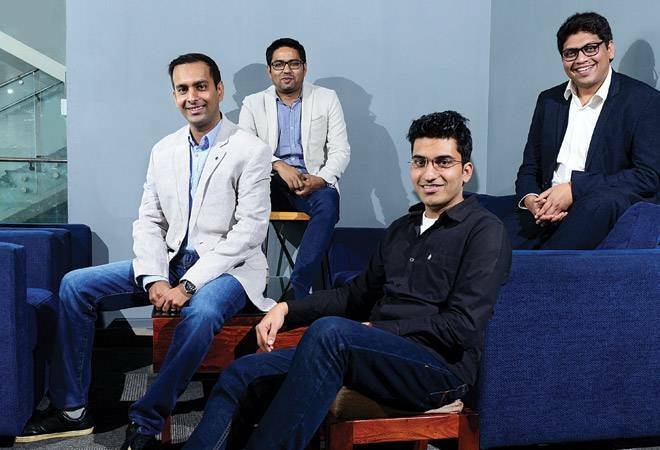 Later on, Achal Mittal and Gautam Adukia came on board as co-founders. India has many consumer-lending companies, but there are very few consumer-leasing firms that borrow, convert the money into assets and lease them. RentoMojo does just that and says it has discovered the playbook fairly early, which could be used across categories and not just furniture. There is one weakness in this model - it is capital intensive, and assets have to be bought before they can be leased. But soon the penny dropped. Instead of keeping a company-owned inventory, the solution is to convert high, upfront capital expenditures into low and routine operational expenses as lenders/financiers fund the asset buying and investors in the company own the assets. It requires a solid network of financiers to make this model work. Adukia, who looks after internal finances, says that the company has lines of credit with banks, non-banking financial companies (NBFCs) and high net-worth individuals (HNIs). It would not disclose the average borrowing cost, but says it is a blended rate, somewhere in-between what HNIs, banks and NBFCs would charge. All this on top of the $17 million the company has raised from Accel Partners, Bain Capital Ventures and IDG Ventures. "Given the high returns, we have more credit lines and funds than we can deploy. And the risk is not on our books as we have an asset-light model. Our key challenge is not funding the assets; it is evangelising this concept and marketing as the idea is relatively new in India and we are the pioneers in this space," says Bamania. "Most of our investors and lenders are shocked when they look at the margins we have. Even after factoring in non-performing assets (NPAs), breakages and other issues, we make very healthy net margins," he adds. The start-up employs about 350 people and currently operates in eight cities. It claims to have rented assets to more than 22,000 customers and now earns $3 million-plus a year. More important, its NPAs are less than 1 per cent, indicating a healthy revenue stream. There has been no independent study on the market size of the consumer-leasing business, but the company claims it is about $10-12 billion. To stay on top of this market in terms of affordability, RentoMojo does not deal with middlemen and buys directly from manufacturers, says Nain. "We also act like a quasi-bank that takes a call on the creditworthiness of its customers [to protect our revenues]." That is why customer acquisition is an elaborate process here. When new customers want to come on board, they have to furnish all essential documents. The company says it has a proprietary algorithm that helps determine the creditworthiness of customers and also analyses their social footprints. Those who qualify can explore the three categories currently available - furniture, appliances and bikes - and take their pick. Customers could sign up for a package or individual items. The minimum rental period is 90 days. Commenting on its progress, Salil Deshpande, Managing Director of Bain Capital, says, "In India's credit-constrained economy, RentoMojo has built a defensible beachhead across multiple categories in an underserved sector of the subscription economy, with a capital-efficient two-sided marketplace, no balance-sheet risk and network effects at scale,"
According to Prashanth Prakash, Partner at Accel, "RentoMojo has pioneered a unique customer proposition for the discerning Indian consumer that blends product choice with ownership flexibility." Venkatesh Peddi, Executive Director, IDG Ventures, says the management team has demonstrated impeccable execution. But the highest praise comes from Renaud Laplanche, former Chief Executive of LendingClub Corp and Founder of Upgrade. Laplanche, who is on the board of the company, says, "In the last 10 years, I have met more than 100 companies implementing variations of marketplaces for credit, lease or rental in some region of the world. RentoMojo is the most impressive I have seen in terms of clarity of vision and business model."